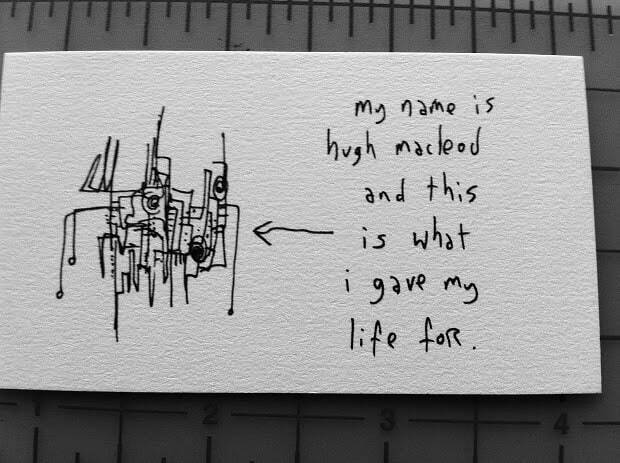 Harold Jarche, a favorite Canadian of mine, just posted this photo of some of his new gapingvoid business cards that just arrived in the mail. As I’m publishing these with my old friends at Moo Cards, when you order a set, you can have more than one design per pack. So you can hand out a different design, dependong on the person, depending on your mood. Handing out the same card every time gets old, anyway. The funny thing is, received wisdom says that buisness cards are passé, that everything is digital now. But that is PRECISELY why a proper business card works so well: it’s real, it has molecules, it lives in the actual world. Whereas everything else is so easily lost in a blizzard of computer pixel. 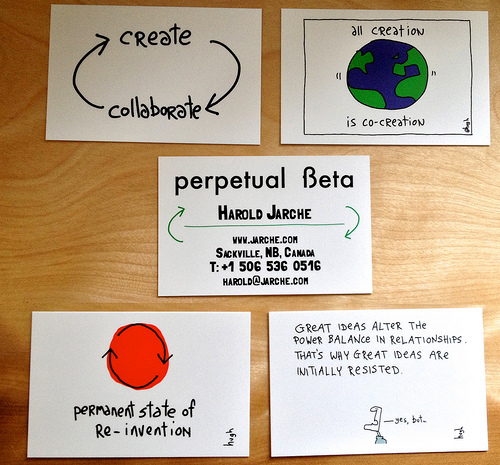 And if the card delights and inspires people (something most business cards aren’t designed to do), even better. We’re having A LOT of fun with this, I hope you’ll check it out, thanks. 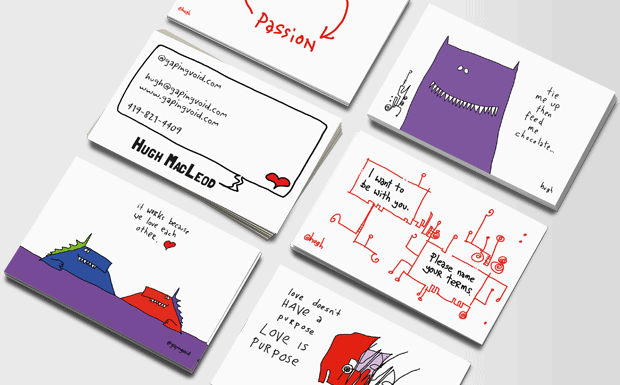 I love mine Hugh – The Market for Something to Believe In – but never dared use the Corporate Hierarchy design – I think I might go a mix pack because some will get a good laugh. Like you, Rob, I passed on the company hierarchy card, as I thought it might offend if I inadvertently gave it to a potential client. It’s still my favourite though! I’m getting great comments on my cards so far.